2.2 comes to Nexus One. Is your phone next? 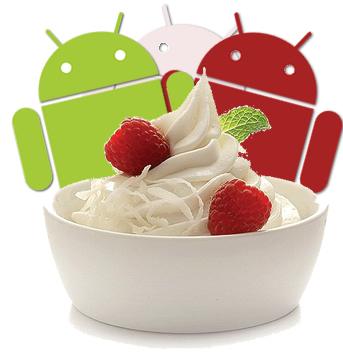 We wrote yesterday about FroYo landing onto the Android Open Source Project, and told you that we’d start seeing 2.2 OTA updates soon. Apparently, the Nexus One is (unsurprisingly) the first. According to an article over at ComputerWorld, Nexus One owners on both AT&T and T-Mobile in the US are being pushed the 2.2 update over the air. The article cautions though (and we’ll reiterate) that OTA updates are usually a long process and can take days to roll out completely. Verizon users of the Motorola Droid remember this well with the 2.1 update. Given the Motorola Droid X launch yesterday, it wouldn’t be at all surprising if either the Droid X or the original Droid is the next to see some FroYo love. However, if you have a different device and start getting a 2.2 update, let us know. We’d love to get a heads up!